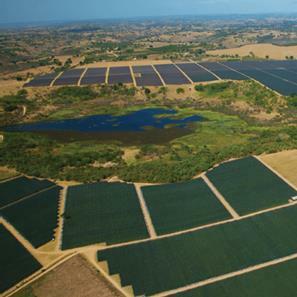 Welcome to TERRA DANNEMANN the Spiritual Home of the DANNEMANN group deep in the Mata Fina region of Bahia, Brazil. Established more than 140 years ago TERRA DANNEMANN provides tobaccos for our cigar & cigarillo brands and is still the home of our artisan cigar rollers or charuteiras as we call them. We invite you to explore our fascinating world and look forward to meeting you if you are travelling in Bahia. 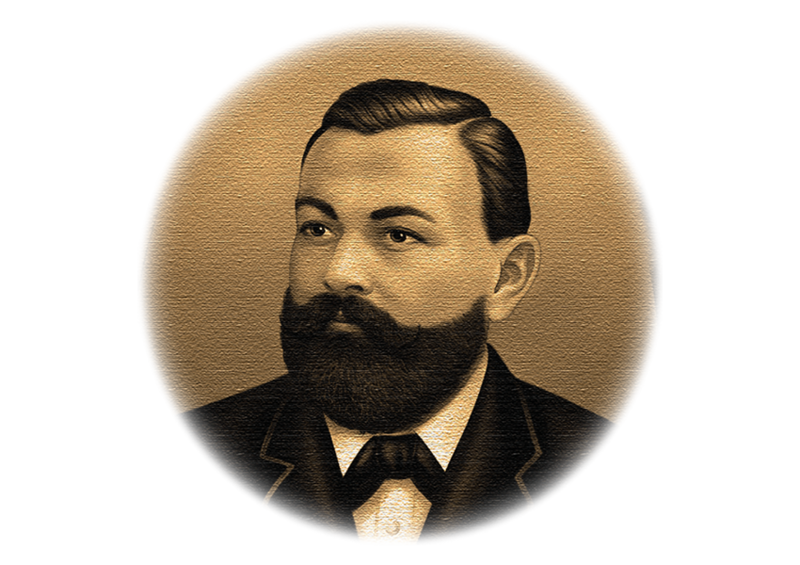 In 1872 at the age of 21, a young man from Bremen, Germany had a vision. He wanted to create the finest cigars in the world. That man's name was Geraldo Dannemann and as his name suggests, he is the founder of DANNEMANN. Geraldo settled in the small riverside town of São Félix, Bahia surrounded by the Mata Fina region, even then, famed for it’s exceptional dark fragrant tobaccos. Upon arrival in the town he built his first cigar factory (still in operation today), and began working with the local craftspeople rolling fine cigars. Geraldo understood that to create the finest cigars in the world he required the best tobacco and immediately began collaborating with the local farmers. This partnership continues to this day with over 200 family farms dating back generations supplementing our own 1,000 hectare plantation. In 1890 Geraldo Dannemann was elected Major of São Félix and became one of the most important industrialists of the region. A champion for the local community, he created the first town charter and oversaw the social & economic development of the Recôncavo area. His influence is still clearly visible today with the municipal buildings he created & the bridge which spans the Rio Paraguaçu connecting São Félix to its sister town of Cachoeira. From these modest beginnings DANNEMANN has grown into an internationally renowned tobacco group and it’s cigars and cigarillos are now available in more than 60 countries. Today TERRA DANNEMANN in Brazil encompasses 2 locations within the region, separated by a short 15 minute drive. The primary location is Fazenda TERRA DANNEMANN, our 1,000 hectare plantation where all of our wrapper leaves are grown, harvested, & matured. On the plantation we also have a team of agronomists who tend the seedlings and work to develop new tobacco varieties, a dedicated water treatment plant to purify the water from our own lakes & damns as well a 200 strong team of local farmers who work the land and harvest the leaves during the winter months. Our second location, is our original factory building still in operation today on the edge of the Rio Paraguaçu. Here our skilled charuteiras carefully hand bunch and hand roll our signature cigars DANNEMANN Long filler cigars, using our exclusive wrapper leaves just as they have done for generations. When company founder Geraldo Dannemann established his cigar factory in the Brazilian province of Bahia in 1872, he set his sights on São Félix. Located directly on the bank of the Rio Paraguaçu, the town offered, and continues to offer several advantages. São Félix is the gateway to a centuries old tobacco growing region known as the Recôncavo. At the heart of this region lies the microregion known as Mata Fina. Across the river from São Félix lies Cachoeira, a town with an outstanding infrastructure. In those days the Rio Paraguaçu was the best trading route to the capital, Salvador, from where the cigars and tobacco were shipped to Europe. 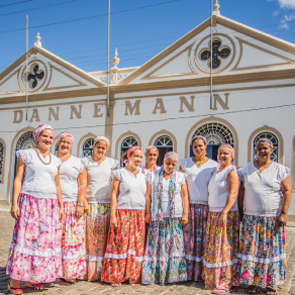 São Félix remains “DANNEMANN CITY,” the home of the internationally prestigious DANNEMANN brand, to this day. This heritage can be seen at OUR SPIRTUAL HOME, the cultural center and with it, also its cigar factory. It is housed in the first building used by Geraldo Dannemann. It was completely restored in the 1980's and has been one of the biggest tourist attractions in the entire Recôncavo ever since. The Town Hall, the railway bridge and numerous buildings in São Félix are further legacies of the cigar pioneer, whose company was awarded the title of “Imperial Tobacco Factory” by the Emperor of Brazil at the time. The inhabitants of São Félix remain proud of this distinction, and of the historic visit of Emperor Dom Pedro II connected with it. What started in 1872 is still very much alive today. In the original company building, romantically located directly on the riverbank, longfiller cigars continue to be rolled by experienced hands. And the product of these experienced hands continues to delight cigar connoisseurs all over the world.